Today I’m going a little off of my usual topics and am planning on diving in to one of my favorite but hitherto unexplored loves: Marvel. I remember the first time my parents suggested watching The Avengers when I was twelve years old. To a girl who had always found superhero movies boring (they were DC movies…naturally), I did not really find the idea of watching a new one very enticing. However, as soon as the movie began, Fury’s helicopter landed, Loki arrived, and the cube was stolen, I was hooked. And I haven’t been unhooked for the last fourish/five years. I don’t know what it was about the Avengers as a team that made me like the film so much. 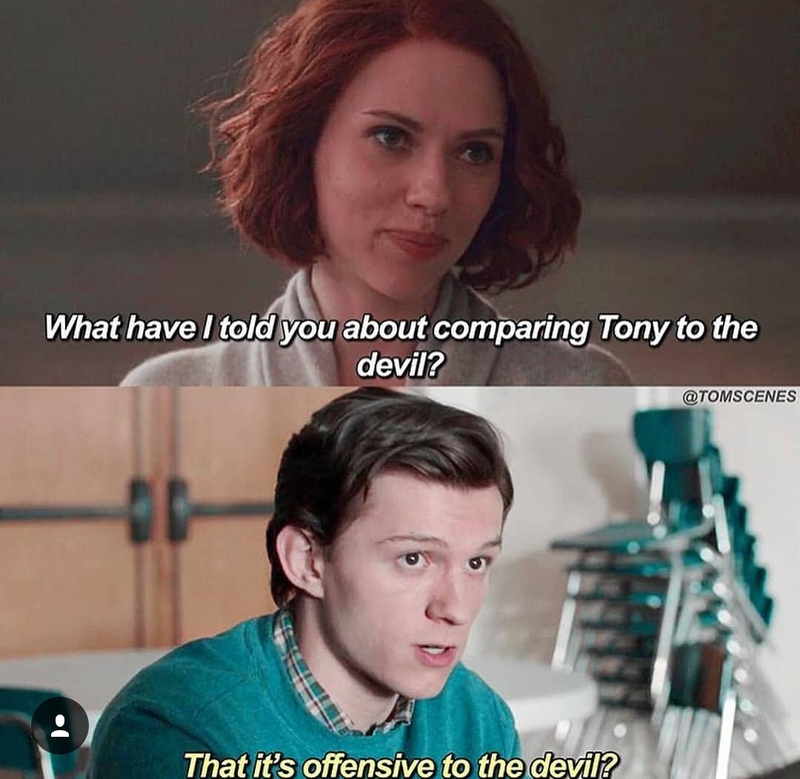 I mean, I did not even like the Black Widow when I first watched it. To me, she was really annoying and flirtatious, but I guess she’s mellowed out over the years. Confession: between my twelfth and a little into my thirteenth year, I only watched two Marvel films: The Avengers and Avengers Age of Ultron. I remember how excited I was when the “second” Avengers movie came out, having no idea that Captain America: The Winter Soldier, Thor: The Dark World, and Iron Man 3 had all taken place within the same time period, and I had missed all three. I watched The Winter Soldier during the summer of my thirteenth year (had no idea who Bucky was, but figured he was an old friend), and I did not watch another Marvel movie until the spring of my fourteenth year, when Captain America: Civil War came out. Then, I didn’t watch another Marvel film until last summer (my fifteenth) when Spiderman: Homecoming came out, and I loved it. Another confession: I did not go see Thor Ragnarok in theaters, because, frankly, I thought all of the Thor movies were boring, and I didn’t see what all the hype was about. Then Black Panther came out, and I almost died watching it. It was, and still is, one of my favorite Marvel films. Then—you know what’s next—I saw Avengers Infinity War. Thor was amazing. Gamora (even though I had no idea who she was) made me cry. Spiderman broke my heart. Hulk made me angry. Iron Man made me scream. Bucky made me thump my chest. Thanos made me want to blow my head through a wall. It was an incredible film, one of the best in the entire MCU. But, after watching it, I felt a little incomplete, and started wondering what all this talk about the “MCU” was. Marvel Cinematic Universe? What? You mean all the movies add up to create a huge universal story? Like Harry Potter? *drop mic*, yes. I realized what I had missed for so long. Immediately, I watched all the Thor films, the Captain America films in order, Doctor Strange, and even Ant-man (blah). I still have to watch Guardians of the Galaxy films and the Iron Man films (which I’m not sure I’ll do), but I learned so much just from the movies I’ve seen. So many mindblowing moments that made the pieces come together. But this is not just a post about how epic and amazing the MCU is (which is an understatement), but this is a post about why it even means anything to me and to my family and to the billions of fans it possesses. What draws us towards these heroes, and what makes us love them so much? Why are Thor, Captain America, the Black Panther, Loki (yes, I said Loki), Hulk, Spider-man, and The Winter Soldier such inspirational melting pots that make our hearts stir, shout, and want to do something to save the world? I feel like what leads me to these people, these fictional, made-up heroes, is the fact that they are good in the midst of a world that is horrible. Sometimes, besides Christ, they are the one thing that reminds us that there is still good out there…somewhere. Even if it is in the imaginary character of Thor or Natasha Romanoff. Consider, for example, the scene in Captain America: The Winter Soldier when Captain America is fighting to save the people of the world from Hydra’s genocide. Bucky, Cap’s friend and attacker, is trapped under the weight of a fallen beam. Lifting it to rescue him, Cap frees Bucky, who returns to finish him off. Cap refuses to fight Bucky, who stands in the way between him and survival. In the midst of Hydra’s evil, Bucky’s distorted mind, and the chaos of the destructing hellicarrier upon which he stands, Cap is a light, an agent of peace, justice, and hope. Bucky’s punches make him bleed, and I started crying when I watched it the first time around. I thought he was going to die. I remember the moment when Bucky says that Cap is “his mission,” Cap tells him to “finish it, because I’m with you to the end of the line.” The kindness, the love, and the friendship Cap shows to Bucky in the middle of that insane moment brought the assassin—the winter soldier—back down to his true identity, and in the end he spared Cap’s life and saved him from drowning. Or like the time when Pietro Maximoff jumped in front of Hawkeye, who was prepared to die for the child in his arms. Pietro gave his life, and that’s what heroes do…and not in a Thor Ragnarok way. I mean, literally, putting one’s life on the line is what heroes do. I was thinking about character deaths in the last Avengers Infinity War and how those deaths will be reversed in the next film (I think Captain Marvel will have a lot to do with it). But some characters have been suspected to actually die for real in the next film. And I think that could happen. The heroes of this day point us to the ultimate hero: Jesus, who, unlike our earthly heroes, is not flawed. In fact, he took on the ultimate pain when he chose to literally die for us. He knew what He was up against and that only He could be the one to save us all. We love our heroes not because of how cool they are, or how amazing their clothes or powers are, but because of the risk they take to make the world beautiful. To bring out the peace, the justice, and to protect the world. They take that risk, and sometimes viewers forget the risk they take. And we ourselves are heroes. We emulate them because we see the good in them and want to help spread that good around our world. Just like Jesus. Sometimes it becomes all about the latest memes, the fan theories, the Pinterest threads, the tumblr gifs, and all of that stuff that doesn’t even help us see how amazing these heroes are. Don’t get me wrong, I love some of the memes (like this one), but to truly appreciate the MCU, we have to look beyond that and into the hearts, the struggle, and the good of the heroes we love. Anyway, before I end, let me just insert a couple videos here of some of my favorite MCU moments from the movies I’ve seen. I absolutely love reminiscing, and I hope you take the time to do that, too! Oh, and if there’s any language in the below scenes, I can’t sensor it, so just know that I didn’t put it there xD . I understand there’s a lot of language and questionable stuff in Marvel films, so just pretend it’s not there and just love the heroism. Most of the junk comes from Iron Man, who is a favorite, but not my very favorite. Well, there it is, people! I think the only language was in the last video, but I could be wrong – I’m compiling this list pretty quickly. Also, I am super excited for Captain Marvel, and I am cosplaying her this month, so keep your eyes peeled! I’m not just saying that, I have the costume. My ultimate favorite Marvel film is probably The Winter Soldier and my least favorite is actually tied between Ant-man and Thor Ragnarok (it was pretty funny, but the characters were so unlike themselves…I just thought it was lame overall…except for Korg 😛 ). I hope you all love your heroes as much as I do. Do you think I should have added a scene to my list? Comment below! Feel free to like, comment, and share this post…just don’t take credit for it or anything XD.